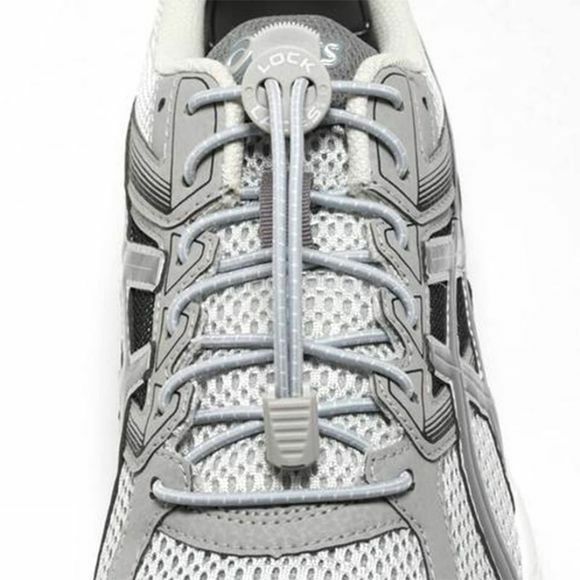 Cool Gray Lock Laces are a subtle, easy-to-match addition to your sneakers. They look classic with any color of shoe, complementing both light and dark shades. One-size-fits-all. For kids, serious athletes, people with special needs, the elderly and adults. Each pair of high performance, quality and utility Lock Laces contains two 48" elastic laces, two lock devices and two cord clips and is suitable for lacing up one pair of shoes. Lock Laces contains two 48" elastic laces, two lock devices and two cord clips and is suitable for lacing up one pair of shoes.